Yesterday’s post showed a home by the wetlands, shrouded in mist. 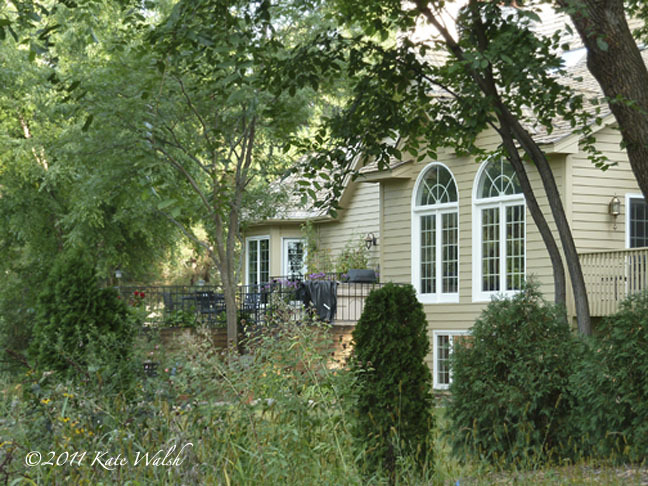 Today’s photo shows a home in the woods. Which do you prefer?